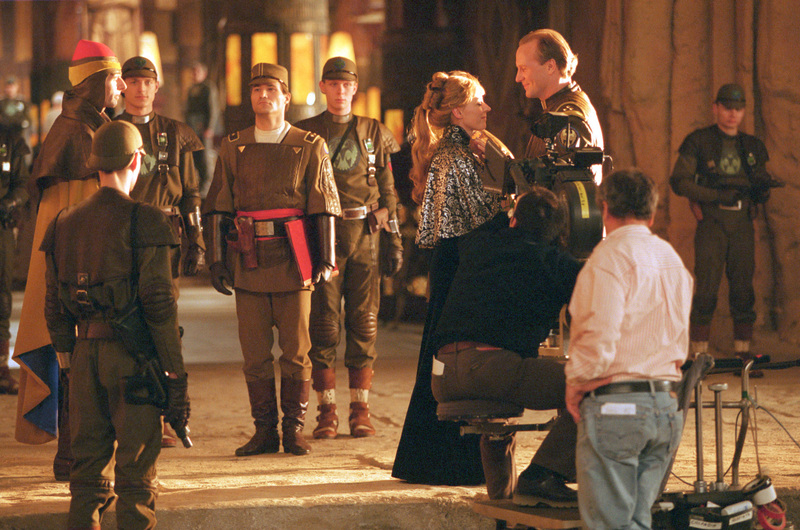 Enlarge / The last screen adaptation of Dune was this Sci-Fi miniseries, which debuted in 2000. Via the good people at io9, my attention was drawn this morning to news that Dune is coming back to the silver screen. This is probably old news to many of you; we’ve known for a while that the man at the helm is Denis Villeneuve, fresh off Blade Runner 2049 (a worthy sequel to most everyone’s favorite futuristic film noir), and just this week Deadline pegged a certain young Hollywood heartthrob for Atreides. The latest news, however, is that Brian Herbert—son of Dune author Frank Herbert and an author in his own right—revealed that the first script will only focus on the first half of the novel. This confirms an earlier report that Villeneuve plans to adapt the book across two movies. People often describe Dune as “unfilmable” despite the fact that there have been at least two versions that made it onto the screen. Chilean director Alejandro Jodorowsky had ambitious plans to translate the book into a movie in the mid-’70s starring Salvador Dali and Orson Welles. While that film never came to pass, it did at least give the world some magnificent concept art courtesy of Chris Foss, Moebius, and H.R. Giger, all of whom were hired to work on the film’s preproduction. If this intrigues you—and it should—it’s worth checking out the documentary Jodorowsky’s Dune. About a decade later, another auteur, this time David Lynch, succeeded where Jodorowsky failed. Future Twin Peaks‘ hero Kyle MacLachlan starred as Paul Atreides, along with Max von Sydow, Sean Young, Sting, Jürgen Prochnow, and even Patrick Stewart among the cast. Toto (yes, that Toto) wrote the soundtrack along with Brian Eno. It’s an understatement to say that this adaption splits opinions: I’ve been a big fan since my first viewing back in 1985, but I recognize I’m in a minority. The film was panned by critics at the time, lost the studio millions of dollars, and even Lynch has distanced himself from it. In 2000, the Sci-Fi channel (pre-Syfy rebranding) made an Emmy-winning TV miniseries version of Dune. Without the need to fit the sprawling plot into a cinema-appropriate running time, this miniseries also did a pretty good job of dramatizing Herbert’s story, with a cast that included William Hurt, Saskia Reeves, and P.H. Moriarty. Advances in CGI between 1984 and 2000 made it possible to bring to life more of the book’s detail, but even this miniseries does look rather dated today. Silly Lee; everyone knows in the Dune-verse they call those Atomics. Let’s all hope this doesn’t turn out to be a stone burner. Legendary (the company behind The Dark Knight and Interstellar) bought rights to Dune about two years ago, but for now there’s no firm timetable for the first film.